Nothing is more off-putting than having to duplicate settings from company to company or between two environments. This document describes how use the add-in Office Excel to carry out this type of import. This process is used to specify the financial dimensions available in the existing researches in Office Add-In for Dynamics 365 for Finances and Ops. NB: This configuration is not company-specific. The setup is a global setup. The order of financial dimensions. 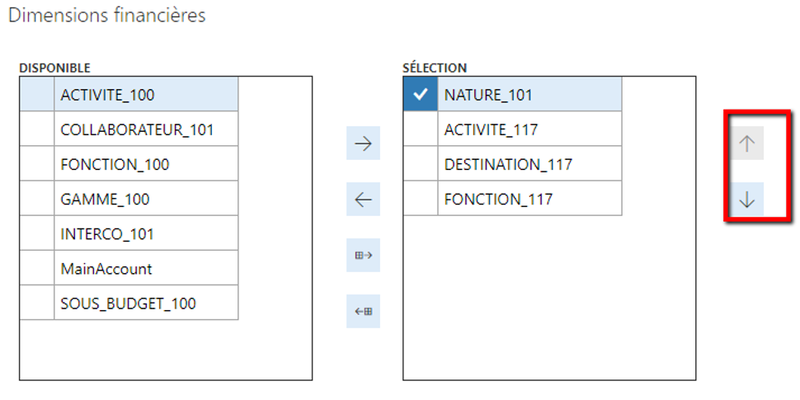 The data entity integration formats. Data entity integration formats are required in order to import transactions that contain accounts and financial dimensions. It should be noted that multiple dimension formats can exist for a single dimension format type, but only one format for a dimension format type can be active. Default dimension format: This format type is required any time that you import default dimensions, through both Data Management and the Microsoft Excel integration. Ledger dimension format: This format type is required any time that you import ledger dimensions, through both Data Management and the Excel integration. The ledger dimension format is the most common format, because it’s used any time that transactions are imported, such as through the general journal. Budget register dimension format: This format type is required any time that you import dimensions for budgeting and budget control, through both Data Management and the Excel integration. Budget planning dimension format: This format type is required any time that you import dimensions for budget planning, through both Data Management and the Excel integration. Go to General ledger > Chart of accounts > Dimensions > Financial dimension configuration for integrating applications. 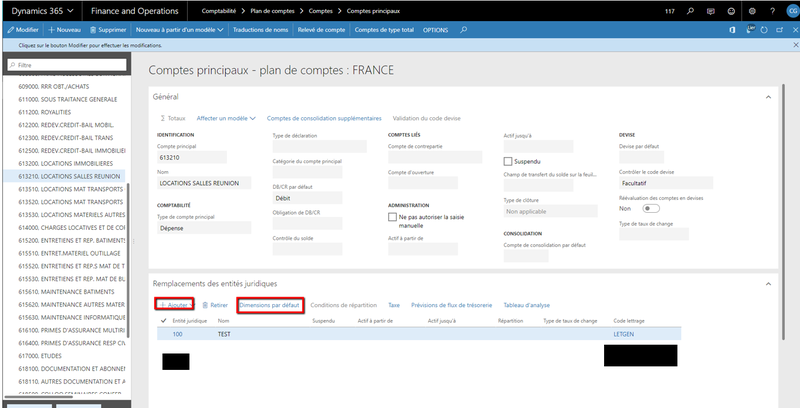 In the pad General, add a new configuration, and select the format type « Default dimension format ». In the pas Financial dimensions, select in order the desired dimensions. Use the top and bottom arrows to change the order. Select Yes in the Active for type field. This action will automatically disable the current one. Go to General ledger > Chart of accounts > Accounts > Main accounts. In the pad Legal entities overrides, add the desired entity and click Default dimensions. Select a value for one or more financial dimension(s) and check the option field (by default or fixed value). Once your export has been updated, click on Design to add additional fields. Refresh again the excel file. Once records are created, deleted or modified, you can publish your file. 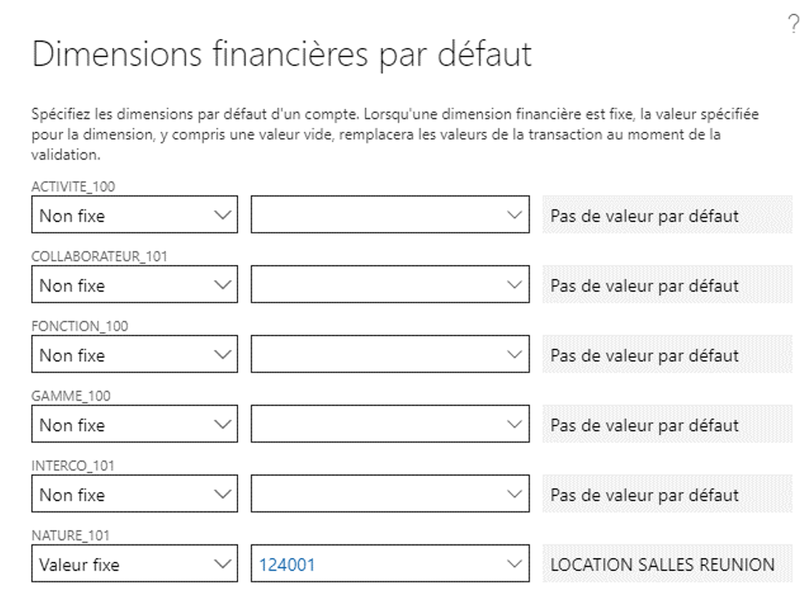 L’article Import financials dimensions set by default on the main accounts via add-in Office Excel in Dynamics for Finance & Operations est apparu en premier sur D365Tour.